If you study or work in the United States, you're probably used to the U.S. customary units of measure for length: inches, feet, yards and miles. But if you travel abroad or work in many scientific fields, you'll need to adapt to the idea of metric measurements, which are used in almost every other country outside the U.S. Happily, the basic principles of measuring work exactly the same with metric units – millimeters, centimeters and meters – as they do with customary measures. The other metric units for length are all related to the meter, and the first part of the word tells you how they're related. For centimeters, the prefix "centi" refers to 100 – so there are 100 centimeters in each meter. 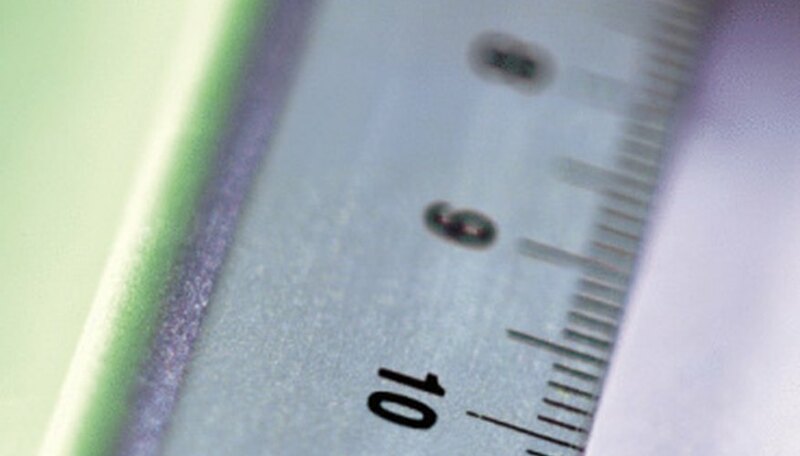 For millimeters, the prefix "milli" refers to 1,000 – so there are 1,000 millimeters in each meter. Those facts, plus a little basic math, will tell you that there are 10 millimeters in each centimeter. Most measuring tapes and rulers will have U.S. customary units (inches, feet and sometimes yards) on one side and metric measurements on the other side, so all you have to do is make sure you're using the correct side when you measure. Some yardsticks will be a little longer than a yard, which leaves room for the metric (meter) measurement on the other side; or you can buy a stand-alone meter stick, which might also be called a ruler in meters or a meter rule. Taking a measurement in metric units works just the same as measuring any other unit. Just line the tool up with whatever you're measuring, make sure the "zero" mark is aligned with the edge of the object being measured and then read along the ruler, measuring tape or meter stick until you reach the far edge of the object being measured. Then read along the ruler or measuring tape until you reach the line or mark that lines up with that far edge. Meters and centimeters will almost always have a number next to the mark; all you have to do is write that number down along with the unit of measure. Millimeter marks usually are not numbered, but because there are only 10 millimeters between each centimeter, they're easy to count. Make sure you write down your measurements all in one unit. For example, if the item you measured is 1 centimeter and 9 millimeters long, you'd write it down as 19 millimeters, not 1 cm and 9 mm. 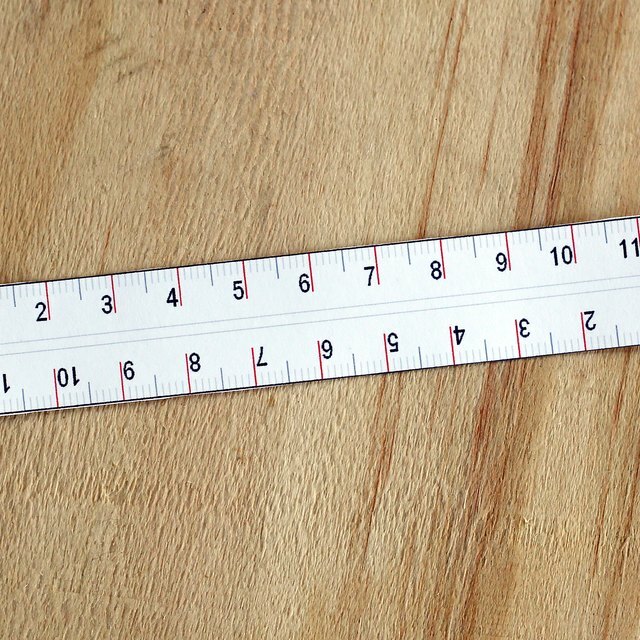 The ruler/meter stick advantage is that you don't have to worry about a flexible measuring tool slipping or stretching. Of course, the disadvantage is that you can only measure straight distances – no measuring round shapes or parts of your body, for example. Are You Calculating Area or Volume? If you're using those measurements to calculate area or volume, make sure you measure each dimension in the same unit. For example, if you're calculating the area of a rectangular object, you need its length and width. If both of those measurements aren't taken in the same unit, you won't be able to do your calculations without adding an extra step to convert between units. It's usually much simpler to do your measurements in the correct unit the first time through. This also applies if you're taking measurements to compare one item to another. Sure, it's possible to intuitively see that 9 mm is smaller than 1 cm – but taking your measurements all in the same unit eliminates that small risk of an error. Maloney, Lisa. "How to Measure in Millimeters, Centimeters & Meters." Sciencing, https://sciencing.com/measure-millimeters-centimeters-meters-8146016.html. 29 October 2018.